Angels Wings and Crafty Things (AW&CT), a newly formed faith-based message board (MB) is looking for three new Design Team (DT) members! Come join the fun, fellowship and friendship! We’re a new and growing MB. We’d love to have you join our family. We want to grow and with your help we can do so! We would like our DT members to promote our products through personal blogs and any online galleries currently participating in and where allowed. We are accepting applications through February 29th. Winners will be e-mailed directly and we'll make a formal announcement on March 5th. The position will begin with an April project (kits will be sent out during the month of March). The term is for six months. After the six-month period, we will have another DT call and current members are encouraged to re-apply. It is important that DT members be computer literate and possesses the knowledge to resize pictures to submit to the message board and photo gallery. It is VERY important that DT members be able to communicate with the DT Coordinator and have the time and energy to commit to a six-month term. Sorry, we are unable to accept international applications at this time. Active participation on the MB is a must! When registering on the MB, please notate under “Interests” scrap booking, card making, paper crafting or that you are applying for the DT. This will allow the AW&CT DT Coordinator to know that you are not a SPAMMER! If you are a member of another design team, please list which ones and how long your term is for that DT. No prior DT experience preferred. Please submit ideas for a challenge AND a tutorial or technique. This can be an outline or a detailed submission. Please demonstrate knowledge of paper crafting and the ability to pass on this knowledge through these two venues. Please write a short essay about your scrapping background and yourself, your scrapping style, whether you are a card maker, scrap booker, paper crafter or all three. Please include a head shot of yourself. This will be used for your bio on the message board. Please provide an insight into your faith and lifestyle. Are you a SAHM, career woman, student? Tell us how you keep busy and what you expect to come away with from your experience on a design team. Submit one favorite LO (old/new) and explain why it is your favorite. Prepare two new LOs and two additional paper craft projects that best represent your style and faith. You may submit cards, altered items, mini albums, tag sets, etc. Please resize images to an appropriate size for emails. Send your application to honeycat1of7@yahoo.com. Please write DT Submission in the subject line of your email. DT members are expected to post a minimum of 60 posts THROUGH OUT the month. This can easily be accomplished by answering the QOTDs (life and craft) and the required posts that are expected from a DT member. As a DT member, it will be your responsibility to be alert for spammers or negativity on the MB. These should be reported immediately to the administrative staff. DT members are expected to post a monthly challenge and a technique or tutorial. These are assigned on a monthly rotating basis. There are six DT members and a six-month term. Each DT member will be assigned one month to coordinate the challenge and technique or tutorial. Each DT member will be expected to provide one prize for their monthly challenge. This can be from your own personal stash and you are NOT required to purchase an item unless you chose to do so. If you maintain a personal blog, AW&CTs expects links to the MB, monthly challenges and other DT members’ blogs on each blog. AW&CTs will provide DT members with a blinkie for use on their blog and signature lines on any other MB that they participate in and where links are allowed. Promoting the MB is the responsibility of each DT member and is taken very seriously. Each DT member will also be expected to choose a member’s project from the member gallery on a weekly basis during their assigned month and highlight this on the MB for other members to view and comment on. As a DT member, it is your responsibility to promote the MB’s photo gallery whenever possible and encourage current members to visit the gallery often. This promotes growth within the MB and also promotes appreciation for each other’s work. Four projects (one LO and three paper crafts) are required from the monthly DT packet. Two items should be posted on the 1st of each month and two additional items on the 15th. DT members are also required to post two additional non-DT items in the gallery to encourage other members to also post their items. DT members agree to release the rights of projects if manufacturers request the use of the submission for promotional purposes. All items submitted to the DT may only be posted in the gallery for 30 days. After 30 days, projects can be posted on other online galleries and personal blogs. Deadlines are strictly enforced. If a DT member does not meet any ONE deadline, the following month’s DT packet will not be sent to that DT member. The only exception to this is if the DT member has communicated to the DT Coordinator regarding the status of their obligations. This information is shared amongst all DT members and kept within the DT. No information is shared with the MB members unless it affects the MB. DT members are required to check in with the DT Coordinator on a weekly basis by email (due by Sunday night of each week). We emphasize the importance of communication and consistency from our DT members. DT members are representing the AW&CT MB and store and we ask that members maintain professionalism and always promote the MB whenever the opportunity arises. The MB has a chat room and a weekly chat. DT members are expected to actively participate in this chat room during the weekly scheduled chat time. If a DT member is not able to participate, the DT Coordinator should be informed of this during the weekly check in with the reason for the inability to participate. AW&CT will host two annual cyber crops. The first one will be during the month of July and is a Christmas-themed crop. Please be prepared to participate in this cyber crop with ideas and/or your presence. If you are unable to actively participate in a cyber crop, please do not apply for the DT. Each DT member is strongly encouraged to submit one project for publication of their own choosing during their tenure. 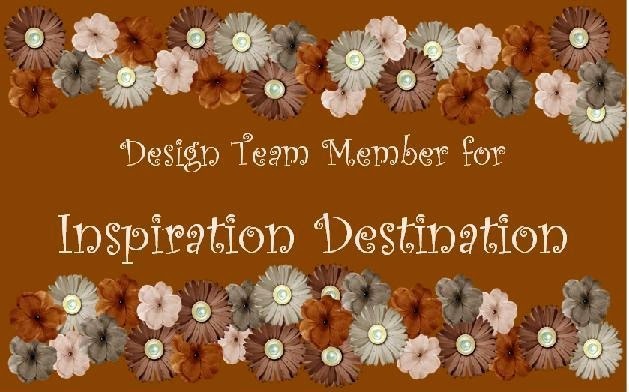 DT members will receive free products through a monthly packet to use for creating their projects. DT members will receive a 40% discount in the AW&CT store on regular priced items. This does not include items in the bargain basement. DT members will receive a 10% discount and free shipping for items purchased from a MB rubber stamping consultant. AW&CT is a NEW MB and items may be added as growth allows. AW&CT’s success depends on the participation of ALL DT members! We hope you will join our endeavor to make our MB a huge success!